Are you used to the fact that depositing money into your online casino account not only takes a long time, but is also extremely complicated? Not so at Wunderino. With us you can choose between different deposit methods – Paypal, direct bank transfer or by bank or credit card: Your money is immediately on your online account and you can start playing right away. 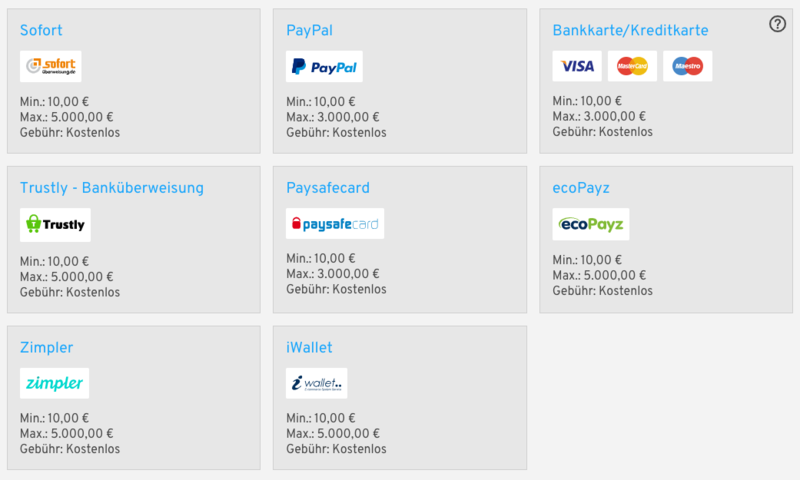 Choose a payment method, e.g. PayPal. Enter the amount you would like to deposit. 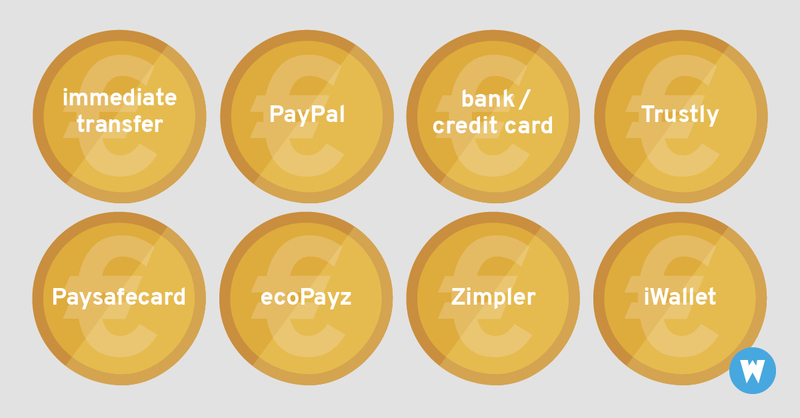 The minimum deposit is 10 Euro, the deposit limit depends on the payment method and may change from time to time. Please visit the payment page to learn more about the different limits. Select a bonus, if available. Click "Continue" and follow the payment provider’s instructions. Once the deposit is successful, the amount will be displayed in the top right corner of the Wunderino page. In rare cases you will get an error message when making a deposit. What can you do then? For credit cards, check if you have entered an incorrect password or code for Verified Visa or MasterCard SecureCode. Sometimes the problem with insufficient funds is with the bank – please check your bank account. Does your account have a spending limit, a block on online or international transactions? Please contact your bank. Please help us find it! First check your bank account to see if the money has actually been debited. If this is the case, please contact us. Most of the time we can determine if the funds are stuck somewhere during payment processing. In some cases we may need to ask you to print a screen for security reasons. By the way: You can find more information about the payment conditions in our Terms and Conditions. As soon as your deposit has arrived, you can start! Choose your favorite games and clear away – free spins and bonuses are on top! It’s up to you whether you want to play on your PC or on the go at the online casino. So, what are you waiting for? Want to find out more about Wunderino’s challenging adventures? Click here!